We want to make it easy to use our services, so we're flexible with our availability throughout the week. Close attention is given to all of the details of a job so that we can stand behind the reliability of our results. We'll keep your property protected while we're working, allowing you to have peace of mind. 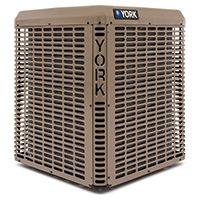 We can handle HVAC Contractor large and small in Solon, IA. Before we do anything, we'll have you approve a price estimate for a job and answer any of your questions about your options. To find out more about the services offered by E&J Geothermal, Inc, give our office a call today.